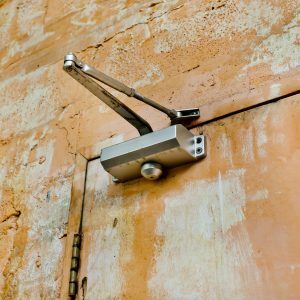 Automatic Door Closers - Expert Locksmith Services In Georgetown TX! Automatic Door Closers - Expert Locksmith Services In Georgetown TX! Did you know, Georgetown Locksmith Pros offers a complete range of automotive, residential and commercial locksmith services? So think of us whenever you require the assistance of an honest team of technicians to help you resolve any lock-related issue in the area. And we specialize in the installation and repair of automatic door closers for local businesses. Installing or repairing automatic door closers, and more! Our service area includes Georgetown, Texas and nearby locations. As the site of Williamson County’s local administration, this community has experienced a boom in recent years. Located just a short drive north of the exciting City of Austin, a center of government and music in the Lone Star State, this area offers residents an outstanding quality of life. We anticipate even further growth during the next few years. We urge new residents and business owners to choose us as your 24-hour locksmith of choice. Basically, you’ll love the high quality of our work! Have you ever walked into a building and had the door slam shut behind you, prompting everyone to turn and stare at you? This is just one example of how the failure to utilize automatic door closers can have a negative impact on your business. Another great feature of door closers is that you can save a ton of money on your energy bills. And anything that saves you money and benefits the environment is awesome! We can even adjust the rate at which your doors close. For example, when leading to a restricted area, you may prefer to have the doors close as quickly as possible. Or, if you run a boutique, you probably want the doors to shut at a slower rate so that your customers can enter and exit easier. Georgetown Locksmith Pros offers fast, reliable locksmithing assistance for automatic door closers and many other security systems for your business. We want to become your preferred local locksmith. Call us today to explore how we can help you or to request emergency locksmith services. Automatic Door Closers https://georgetown-locksmith.co/commercial/automatic-door-closers/ 4.2/5 based upon 5 reviews.